When I learned how to make a Mexican chicken casserole recipe, I found it to be as flavorful as all of the Mexican cuisine. The recipes are influenced by the many highly seasoned ingredients available locally. They can be spicy and hot impacted by the large variety of hot peppers grown there but the dishes can also be flavorful and mild. A hot sauce is usually served along with the recipes for additional spice. As I learned how to make a Mexican chicken casserole recipe, like the traditional dishes, they are usually made up of the regions staples. Some of these are beans, corn, chili peppers, tomatoes, squash, avocados, cocoa, vanilla, beef, chicken and pork. A large variety of fruits have a great impact also in the Mexican diet; especially when it comes to desserts. The Mexican style of food infuses the flavors of all these local ingredients. This cuisine is loved more than most all over the world because of its robust flavors. 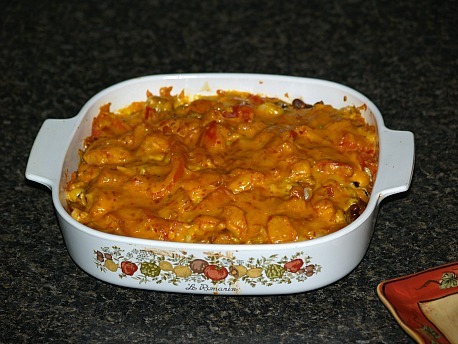 I learned how to make this Mexican chicken casserole recipe which is easy to put together and can be baked in your oven or in the microwave. This recipe can be changed by replacing the chicken with 1 pound of ground cooked hamburger or 2 cups of pieces of cooked pork. Also try adding a can of drained chili bean and 2 teaspoons chili powder. Place corn in an ungreased 2 quart casserole dish or square baking pan (8x8x2 inches). Top the corn with the chicken and olives. Mix the soup, chilies, pimentos, sour cream, salt and cumin until well blended; spread over the chicken mixture. Sprinkle the broken tortilla chips or potato chips over the mixture. Bake uncovered for about 45 minutes. MICROWAVE DIRECTIONS: Place corn in a 2 quart microwave casserole dish. Top with chicken and olives. Spread the mixture of soup, chilies, pimentos, sour cream, salt and cumin over the chicken. 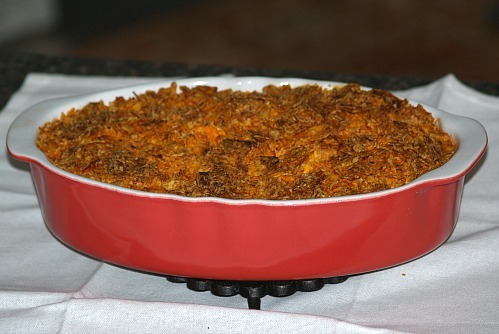 Cover tightly and microwave on high 14 to 16 minutes, rotating the casserole ½ turn after 8 minutes, until center is hot. Sprinkle with chips before serving. 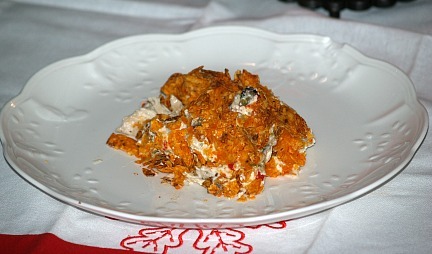 This is a deliciously flavored Mexican chicken casserole recipe. It makes a great meal alone; double if you are hungry. Cook chicken in hot oil over medium heat stirring until done. Stir in beans and 1 cup salsa; heat to boiling stirring occasionally. Place broken tortilla chips in ungreased 2 quart casserole dish; top with chicken mixture. Spread with sour cream; sprinkle with tomato, onions and cheese. Bake uncovered for 20 to 30 minutes until hot and bubbly. Arrange tortilla chips around edges to serve; serve with salsa and shredded lettuce. Beat eggs, sour cream, salt and hot pepper sauce; stir in chicken, cheeses and chilies. Pour into baking dish; bake about 45 minutes or until top is golden brown and center is set. 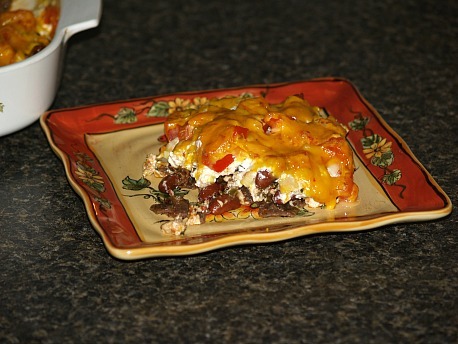 Another great Mexican chicken casserole recipe deliciously seasoned with taco seasoning, tomatoes, beans and lots of cheese. Combine tomato juice, taco seasoning and 1 tablespoon oil; set aside. In 2 tablespoons hot oil over medium cook chicken until done. Stir in refried beans and ½ cup tomato juice; bring to boil, reduce heat and simmer 5 minutes. Place ¼ cup chicken mixture and 2 ½ tablespoons cheese down center of each tortilla. Roll tortilla up and place seam side down in lightly greased 9 X 13 inch baking pan. Pour remaining tomato juice over casserole; cover and bake 30 to 35 minutes. Uncover and sprinkle with remaining cheese; bake 5 minutes longer until cheese melts. Combine avocado and lemon juice; sprinkle avocado, tomato and lettuce over casserole.